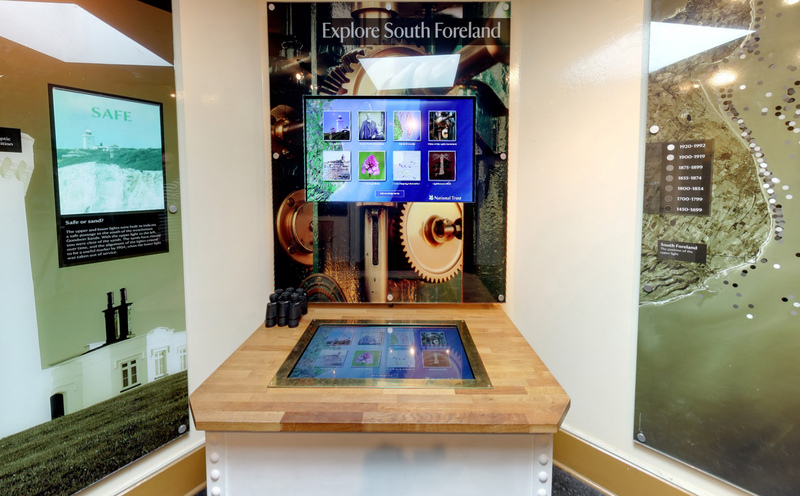 From the small scale to the large, Corvidae’s team has worked closely with curators and property staff to create some unique experiences for visitors. 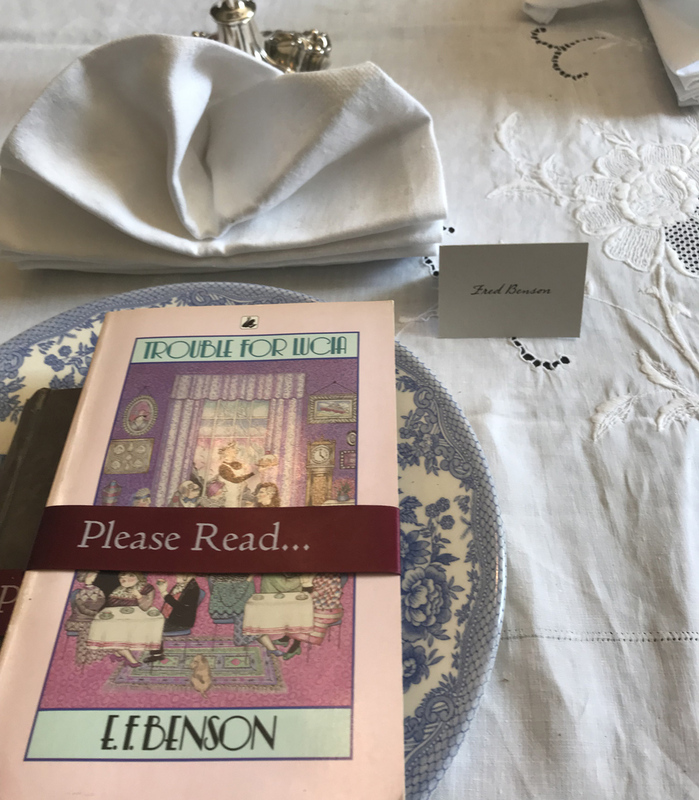 Corvidae has had a long association with Lamb House, where Richard Crowest has often given readings of works by E F Benson, particularly at Hallowe’en. 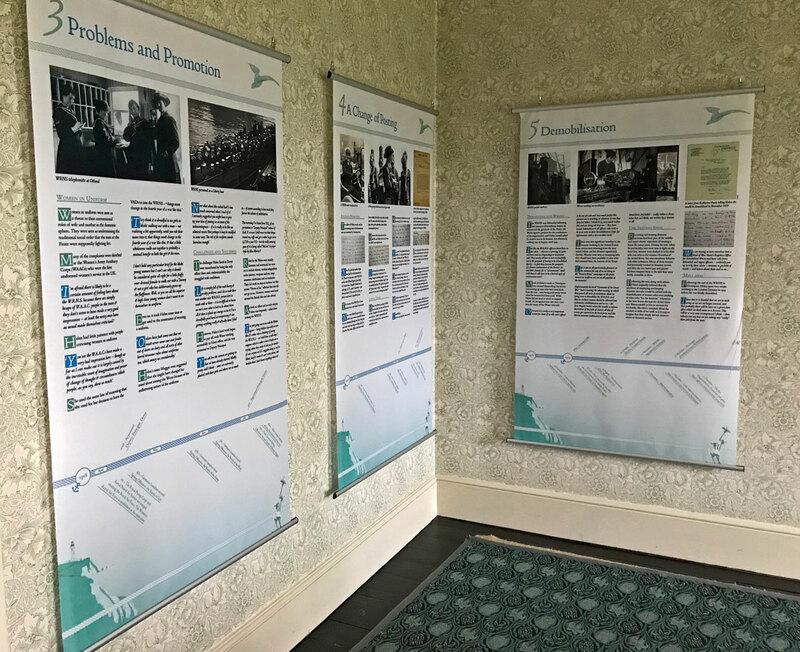 We were delighted to work with new curator Jerzy Kierkuc-Bielinski at the start of a new era for the house, as the National Trust opened upstairs rooms to visitors for the first time. 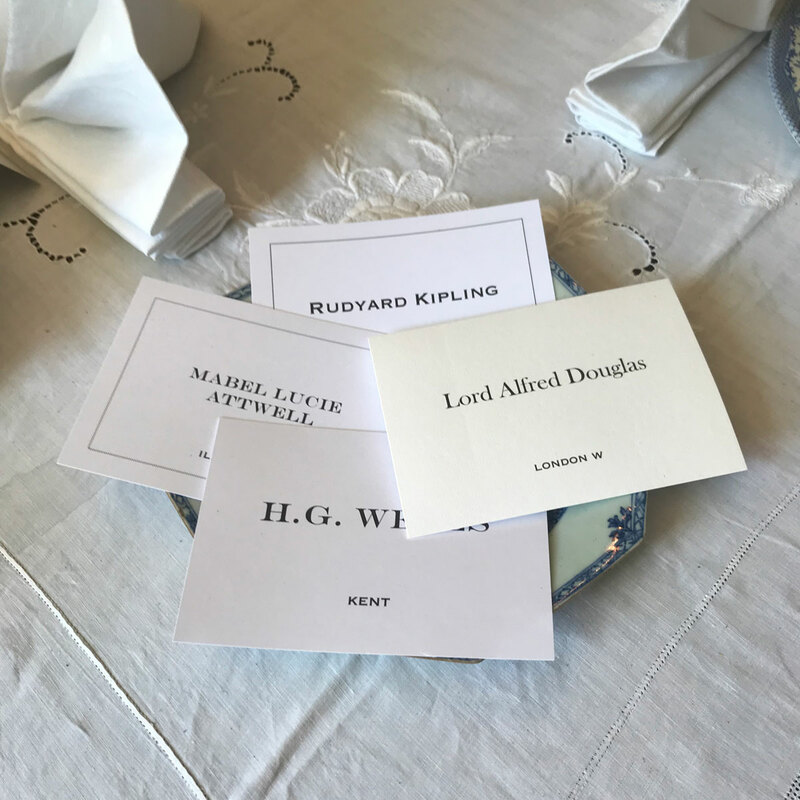 We designed sensitive interpretation that echoed Henry James’s hand-amended typescripts, along with calling cards that show some of the huge numbers of famous friends who visited both James and Benson here. 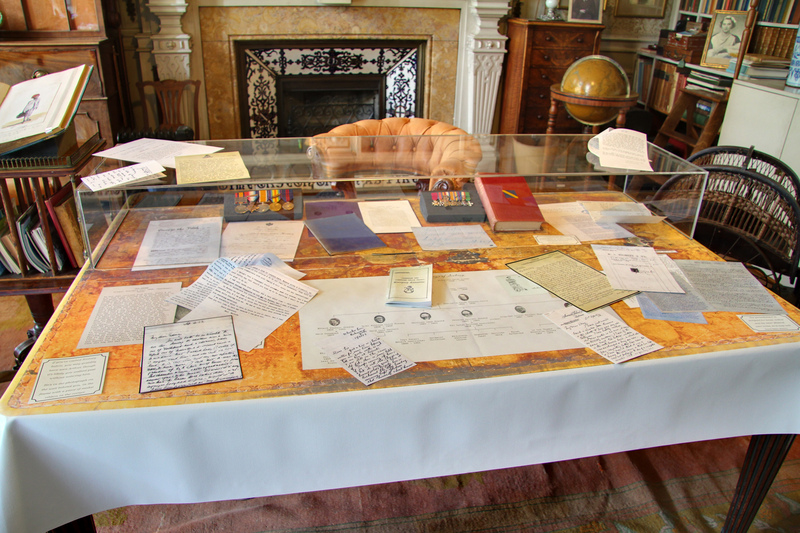 A telephone allows visitors to dial up biographical notes, along with readings from works by the two authors. 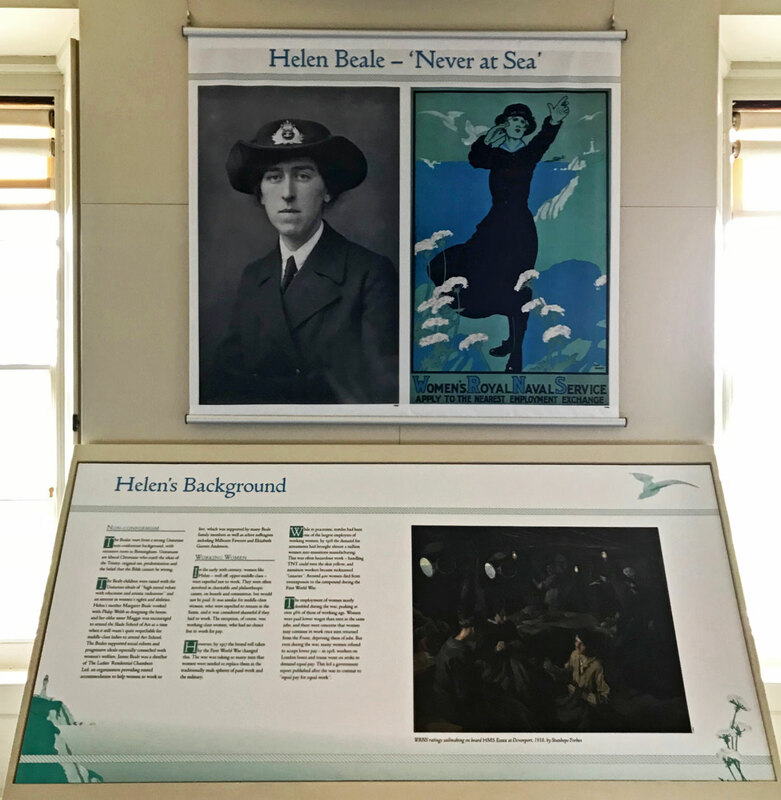 Corvidae designed and installed this special exhibition at Standen in West Sussex to commemorate the centenary of the founding of the Women’s Royal Naval Service. 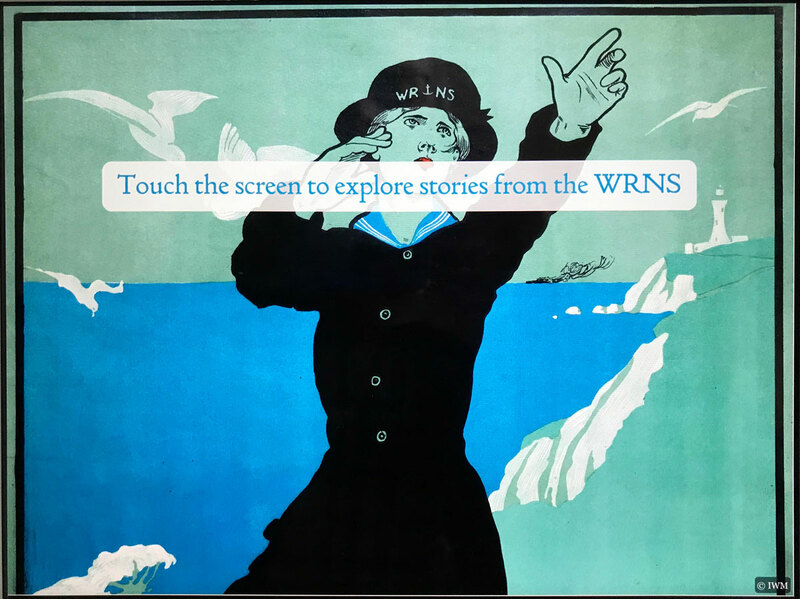 Its story is told through the experience of Standen’s donor, Helen Beale, who served as a WRNS officer. 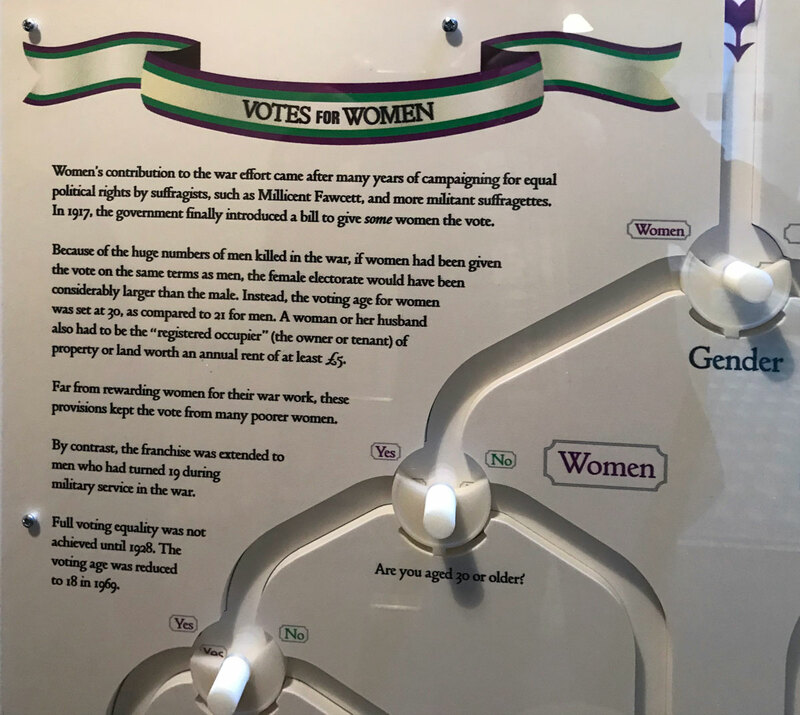 The exhibition also marks the centenary of some women in the UK gaining the vote for the first time, with a unique interactive nicknamed the “Franchise-o-matic”! Pop a token in at the top and turn the dials to see whether you would have been allowed to vote in the 1918 General Election. 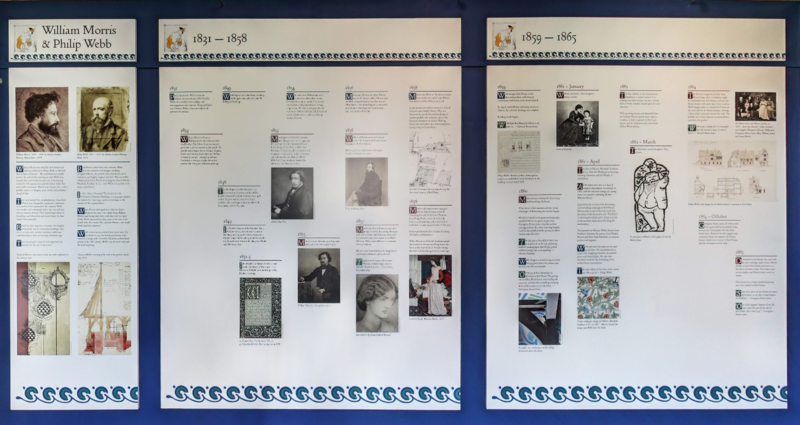 To mark the centenary of the death of the arts-and-crafts architect Philip Webb, we were asked by the National Trust to design and install an exhibition in his first independent commission, the house he designed for his lifelong friend and colleague William Morris. Working closely with the property team and curator, in less than eight weeks from our first meeting we designed and commissioned display cases, created a design scheme for the exhibition graphics, and produced finished artwork which was printed and installed in time for the press launch (the main exhibition case is without its cover in the photograph here for the benefit of press photographers). 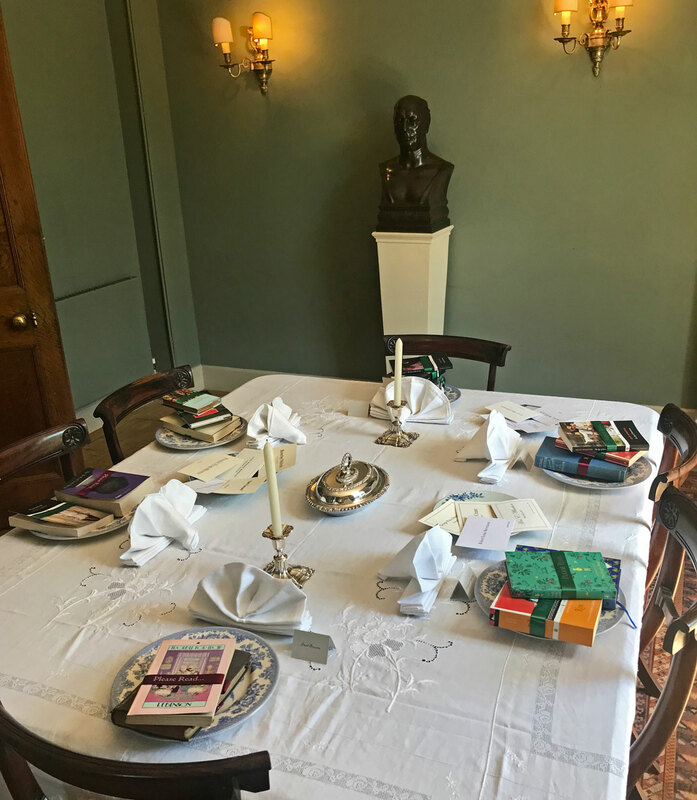 The exhibition included a collection of Webb’s personal possessions, including architectural drawing instruments and paints, which he bequeathed to the photographer and publisher Emery Walker. The graphics were typeset in the beautiful Doves Type, created by Edward Prince for the Doves Press, which Walker founded with Thomas James Cobden-Sanderson. 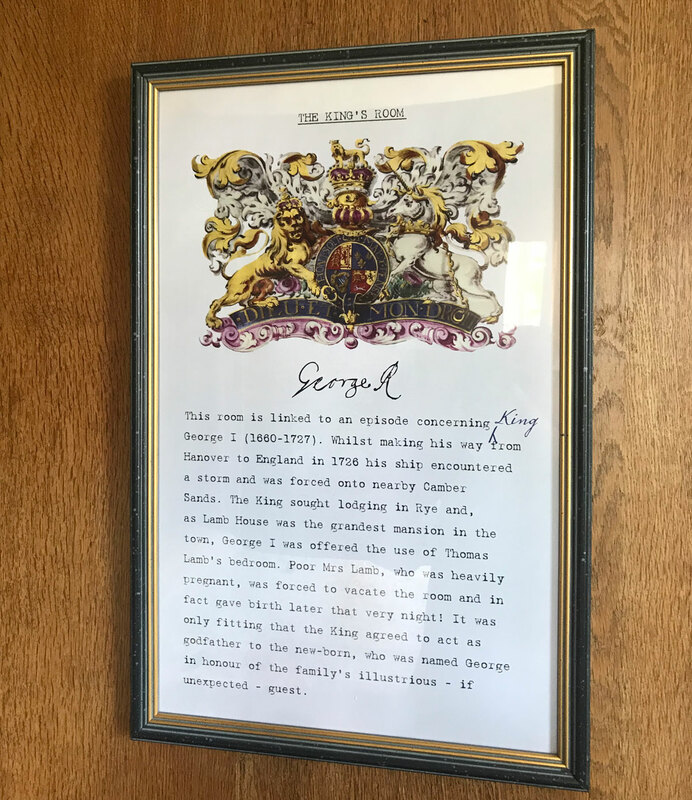 The story of the dispute between the two men which led to Cobden-Sanderson’s bizarre, nocturnal disposal of the original metal type makes fascinating reading. 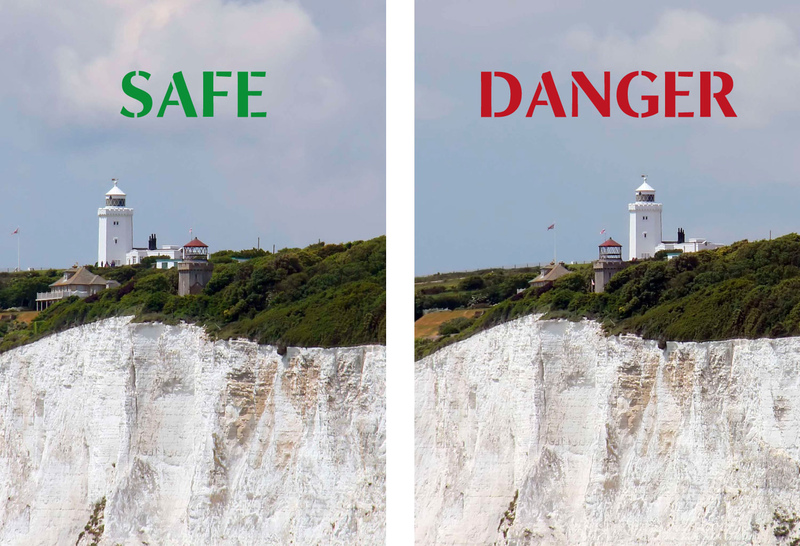 The italic version of the typeface was kindly provided by Torbjörn Olsson. 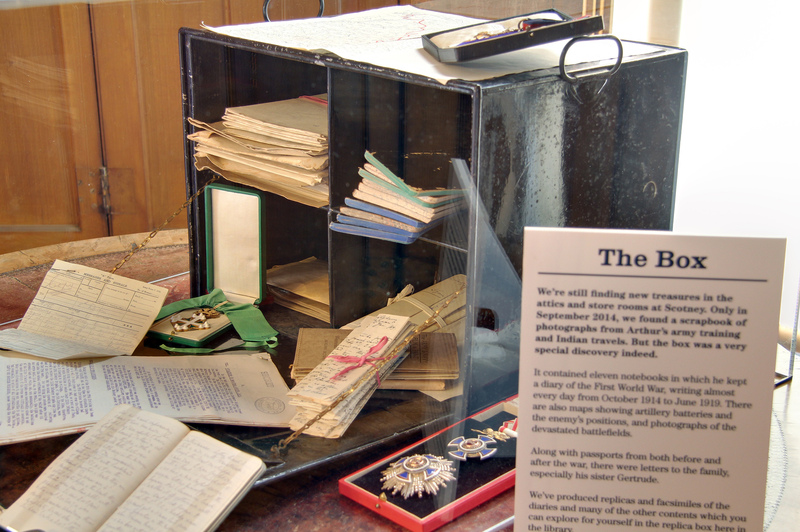 In 2006, staff at Scotney Castle made a remarkable discovery in one of the attics: a strongbox containing diaries, letters, maps and medals belonging to Brigadier General Arthur Hussey, who’d been an artillery officer on the Western Front in the First World War. 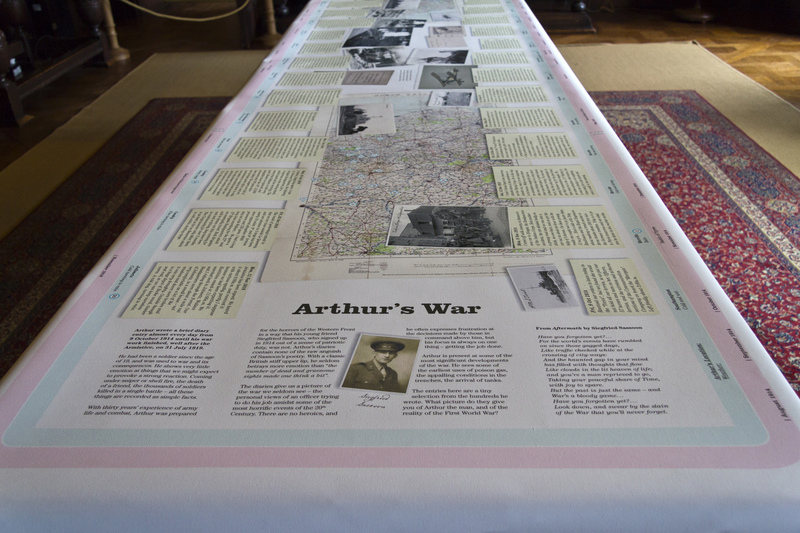 For the centenary of his deployment in October 1914 we told Arthur’s story by allowing visitors to experience what it was like for the staff and volunteers who first opened that strongbox. 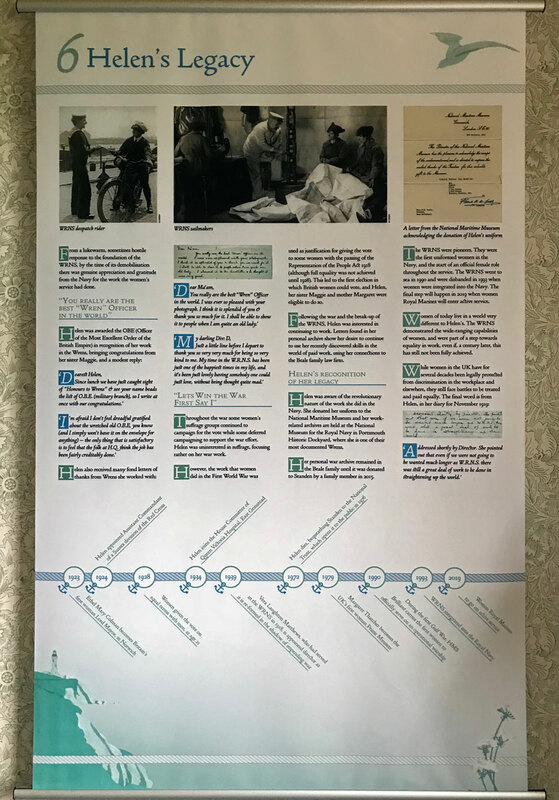 With a duplicate box, facsimiles and annotated transcripts of the diaries, replica letters, photographs and maps, visitors went on a voyage of discovery unlike almost anything they will have experienced at a heritage site. 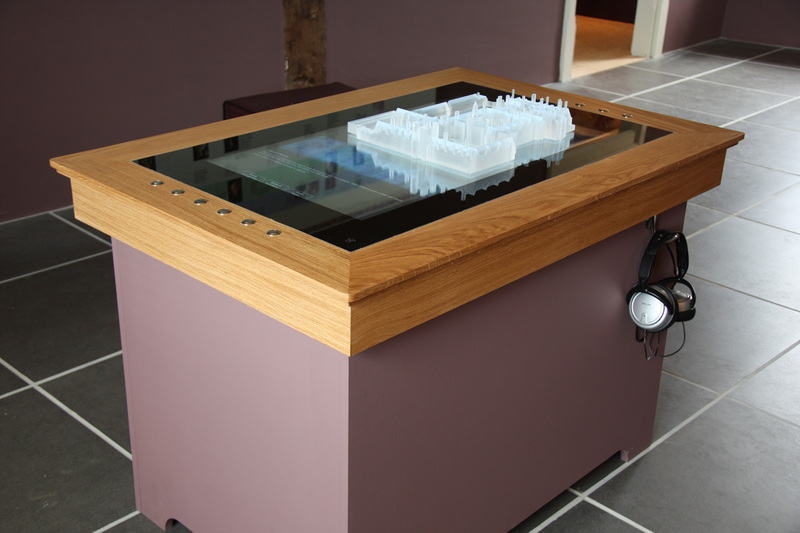 Feedback on the project from staff, volunteers and visitors was overwhelming. 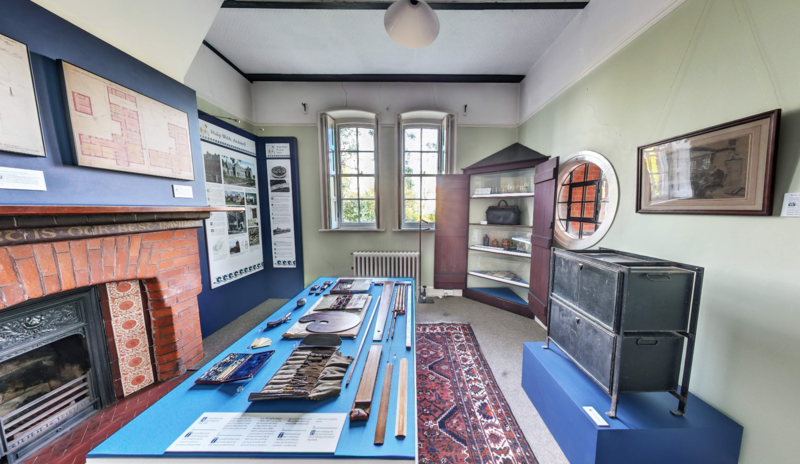 Dwell times in the house, which usually average 28 minutes, were in excess of 2 hours, and in some cases far longer, demonstrating the value of interpretation that allows visitors to make discoveries and delve deeper into subjects that interest them. 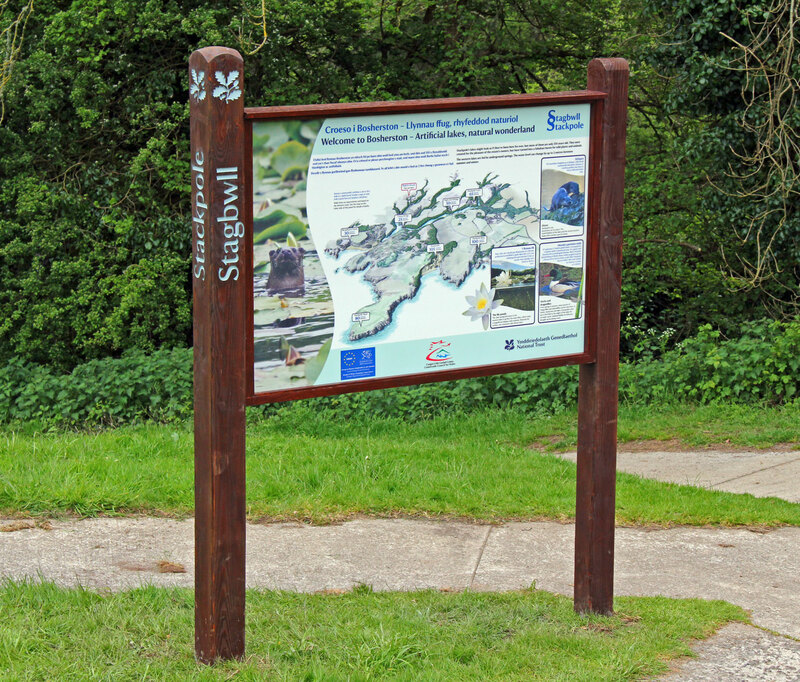 At Stackpole, we had a hugely ambitious brief to create a coherent visitor experience across a site with five hubs and no central point of contact. We began with some small-scale consultation to assess visitors’ key areas of interest, and planned our interpretation based on the results. 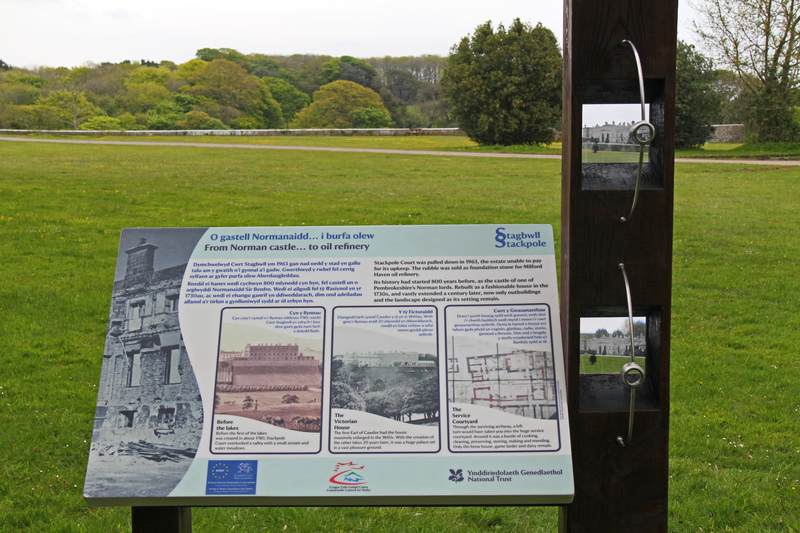 The project included new leaflets, interpretation on panels located at significant points throughout the landscape, and a new visitor centre telling the story of the estate and its wildlife. 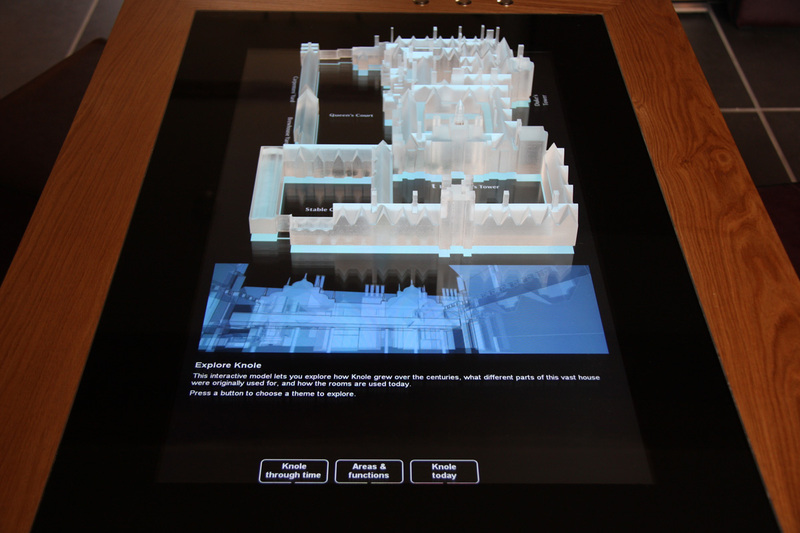 Orientation is provided by an innovative floor map that lets visitors walk the estate in miniature before they do it for real. 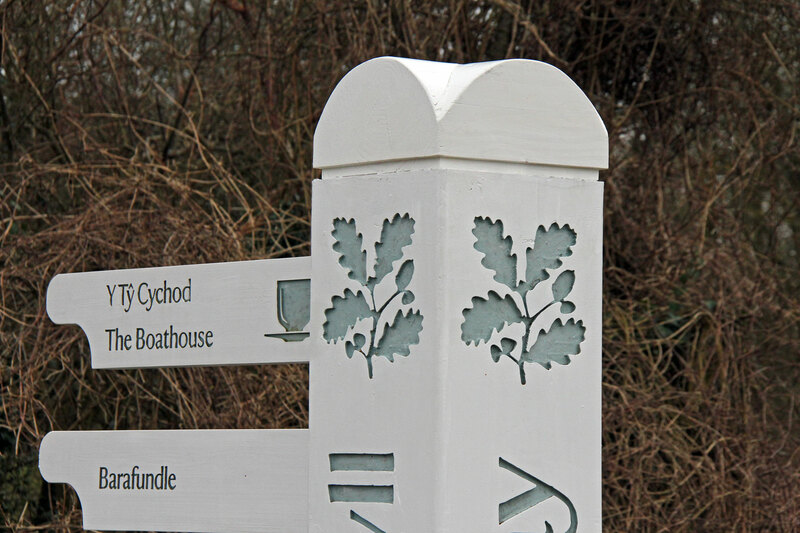 Interpretation is image-led and text-light, ensuring visitors don’t feel overwhelmed by rivers of English and Welsh copy. 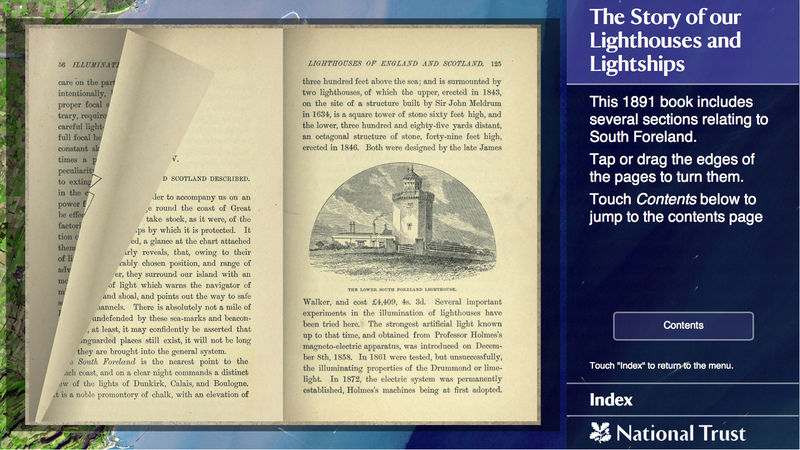 One of the National Trust’s trustees described it as some of the best interpretation he’d seen in the organisation. 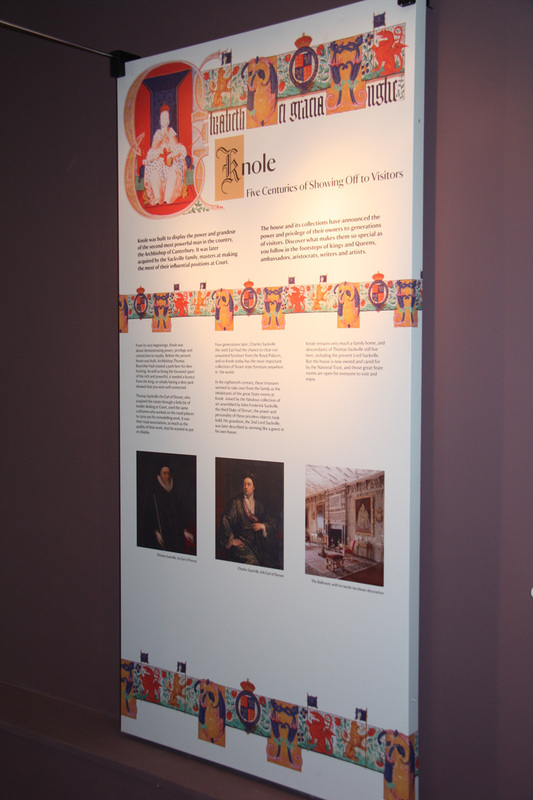 View the exhibition in a panoramic image. 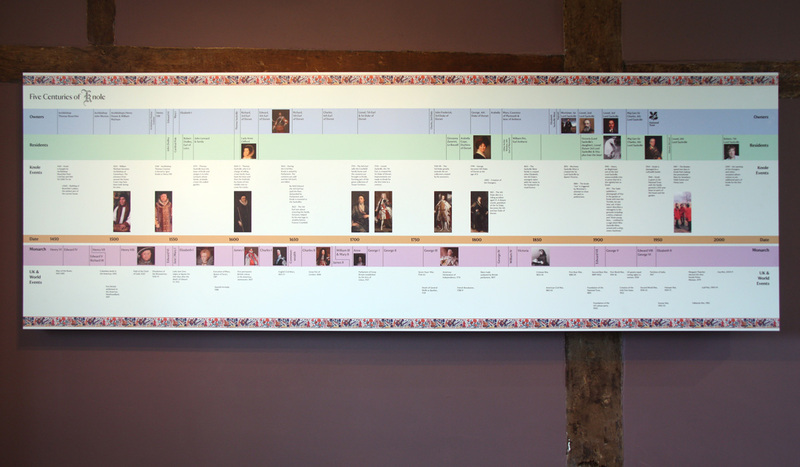 See the evolution of Stackpole Court from the Georgian era to the present day. 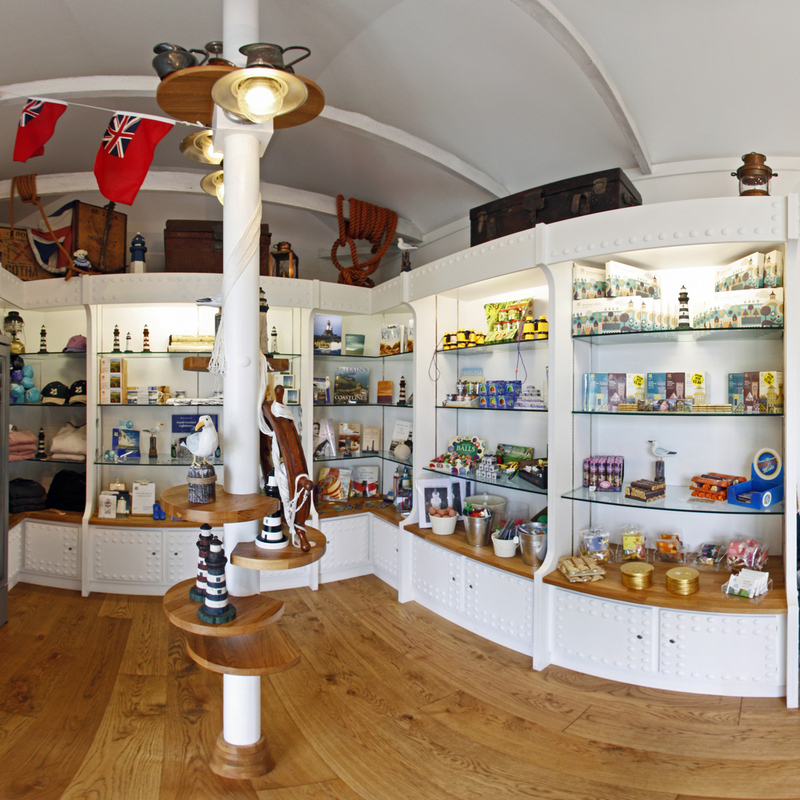 We loved working on this beautiful piece of maritime heritage, designing installations and shopfittings that echoed its functional role. 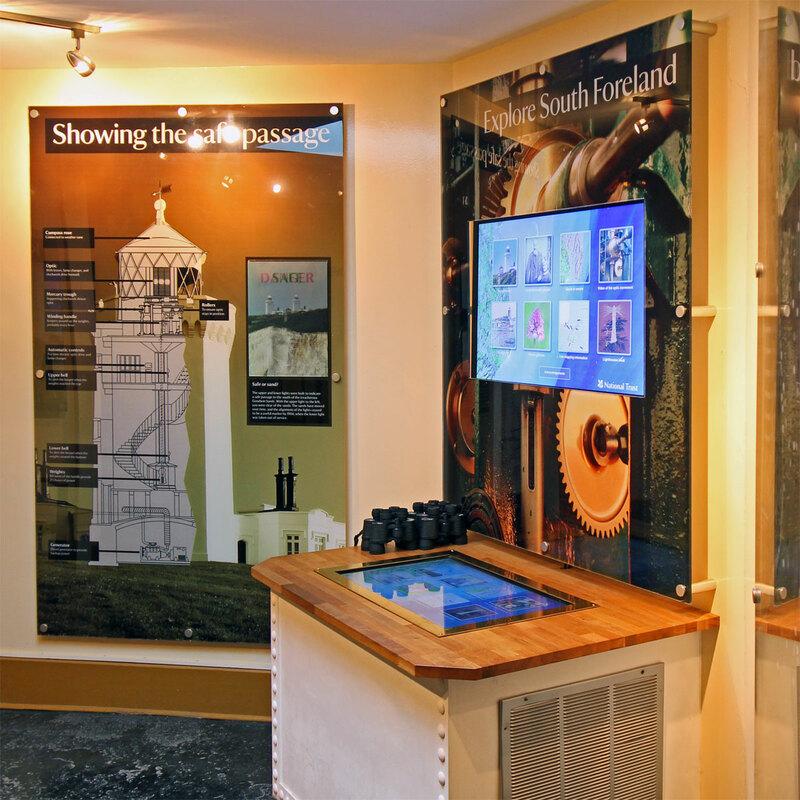 Visitors experience the lighthouse on guided tours, and our exhibition and interactive give them the background to its story while they wait. As often happens, we were invited back for the next stage of the project, dressing the Watch Room to show how it would have looked when the light was in operation, as well as providing weather logs that visitors and school groups can fill in while listening to shipping forecasts from a digital player housed in a vintage radio. 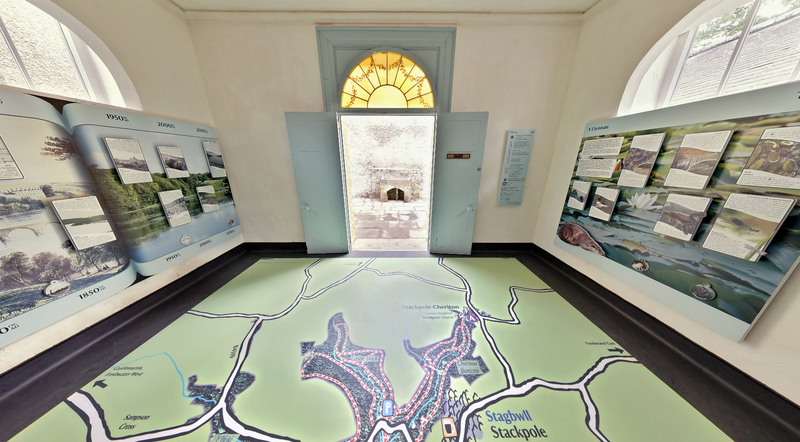 Explore our work at South Foreland Lighthouse in a series of panoramic images. 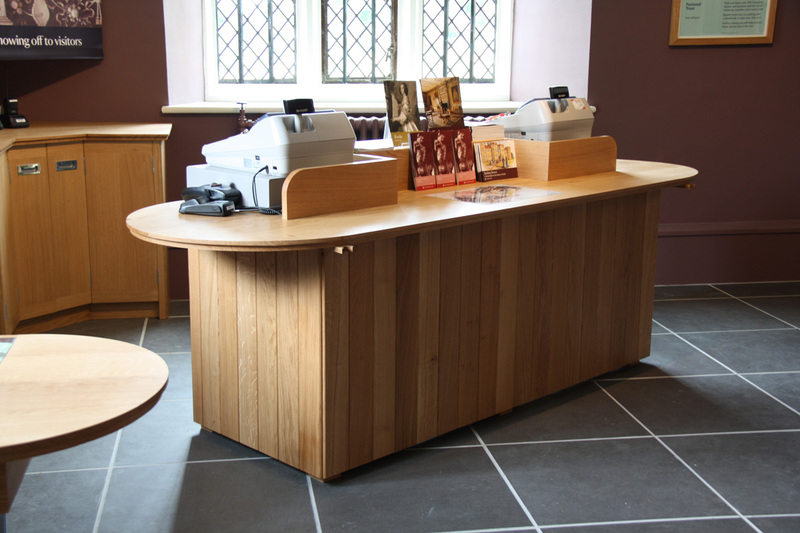 In 2010 Corvidae was asked to design and deliver the fittings and content for a three-room visitor reception at Knole in Sevenoaks. 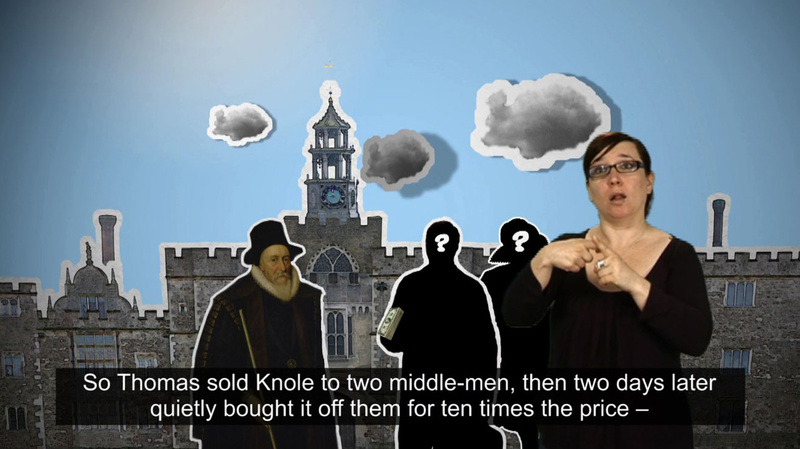 This medieval archbishop’s palace, remodelled as a Jacobean courtier’s house, has a complex history and valuable collections whose appearance belies their significance. Corvidae used a wide range of media and techniques to bring the house, its people and their stories to life. 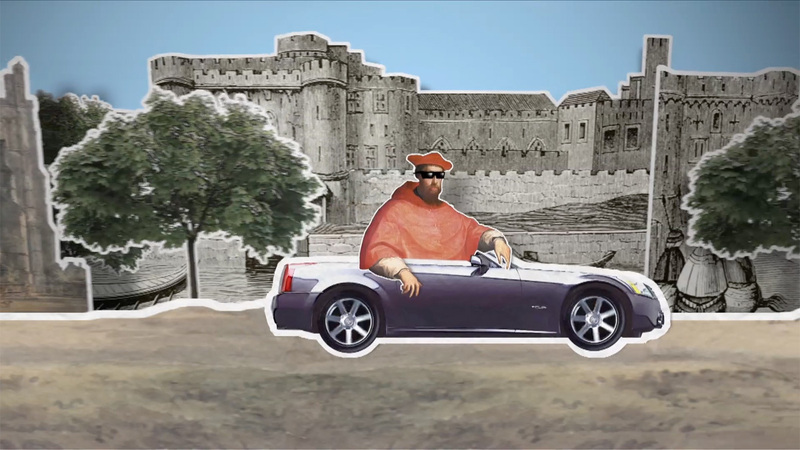 Explore our solution through a series of panoramic images. 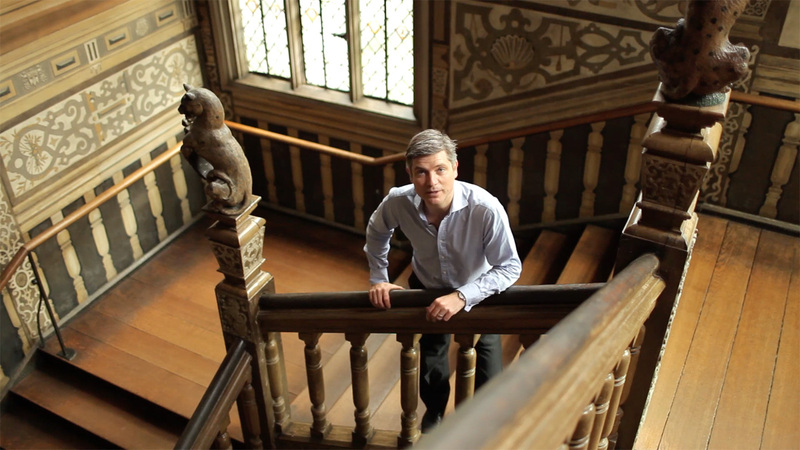 Watch the stunning introductory film, presented by Dr Jonathan Foyle. This grand National Trust house is famous as Disraeli’s country home. 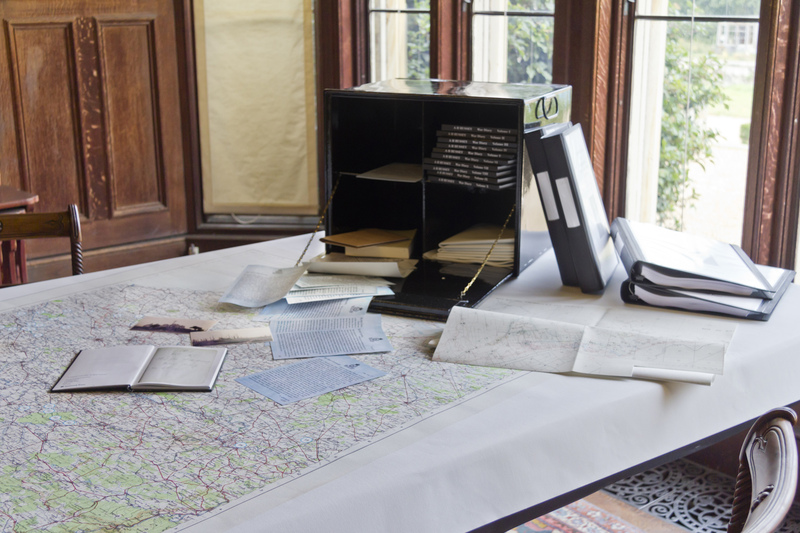 But it also played a vital role during World War II as ‘Hillside’, the Air Ministry’s secret reconnaissance and mapping unit. 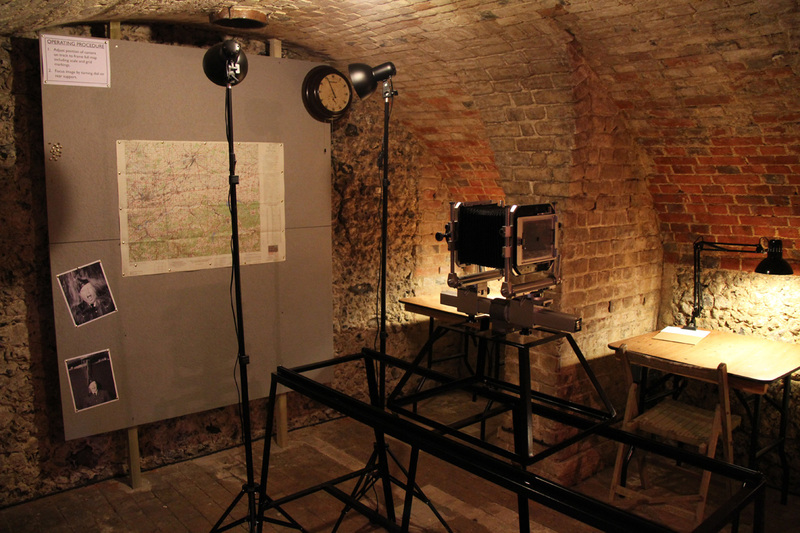 Corvidae has refitted one of the outbuildings to reflect its wartime use, complete with camera, enlarger and stereoscopes. 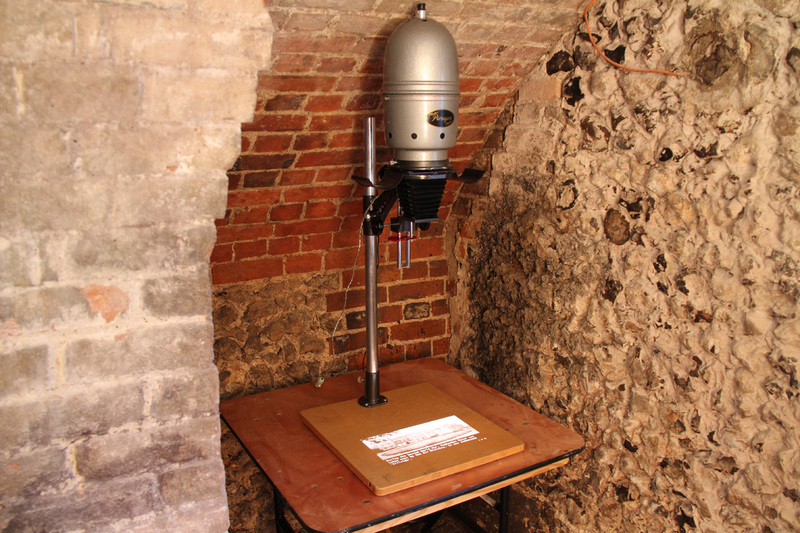 The enlarger is more than just set dressing – it contains a micro video projector, displaying a slideshow of images and captions about the unit and its work.